Thank you shaker tag + Giveaway winner redrawn ! 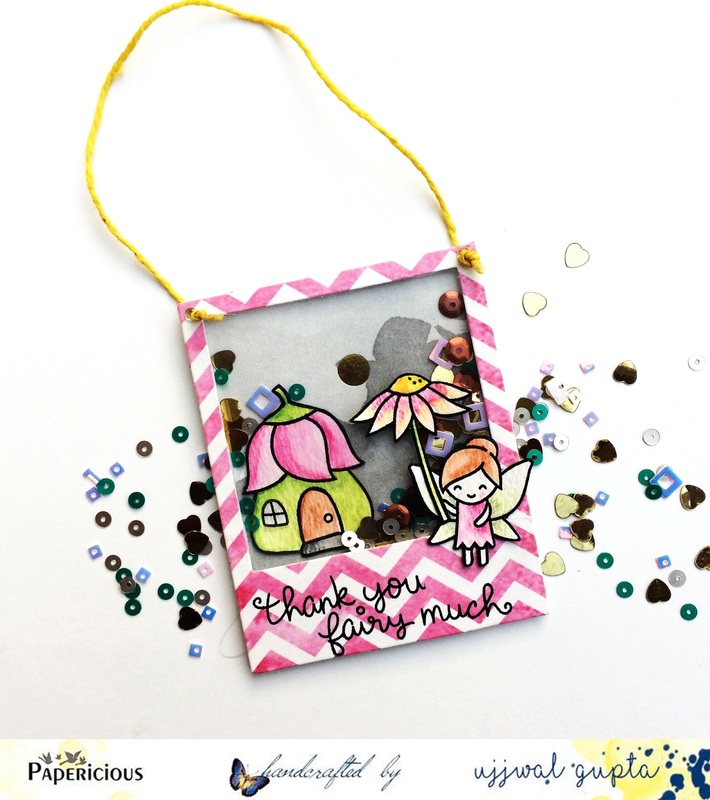 Popping in here to share this adorable little polaroid tag I created for the Papericious April Challenge and the Lawn Fawnatics Challenge #2 - Interactive cards. 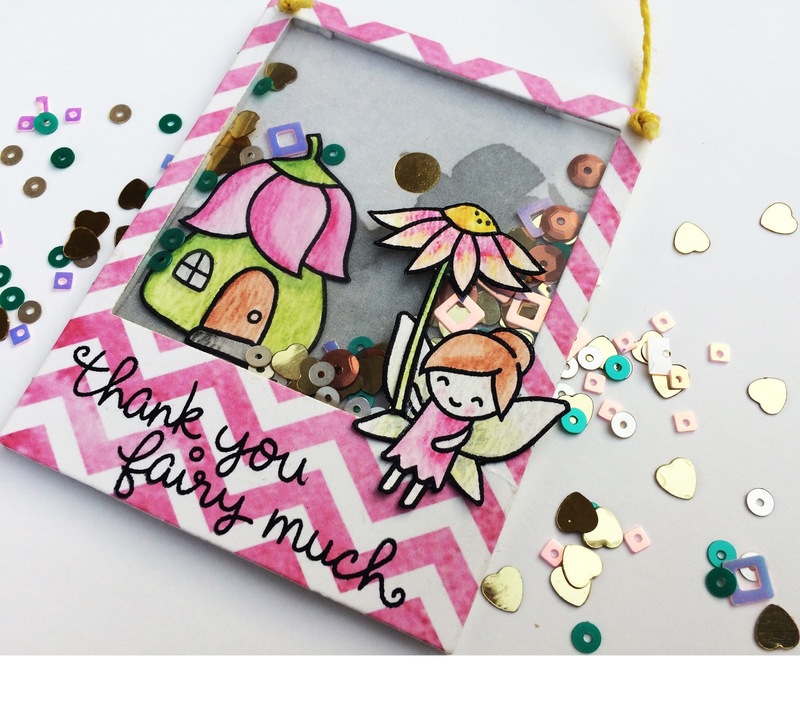 I used the Say Cheese - Lawn Cuts die to create the outside frame using the Papericious Femina Paper Pack. I then colored the images from Lawn Fawn Fairy Friends Stamp Set using watercolors and fussy cut them. Then I assembled all the elements and created this adorable little shaker tag. Have a great day and a fabulous week ahead ! Lovely shaker tag design! The watercolor images are too cute! So glad you joined us for our Interactive Challenge at Lawn Fawnatics! How to use border stamps! Baby Girl Scrapbook/Album - Nursery Rhyme Theme! Travel Theme Kid's Room Wall Art !